The amateur radio station on the ISS can be received using very simple equipment. 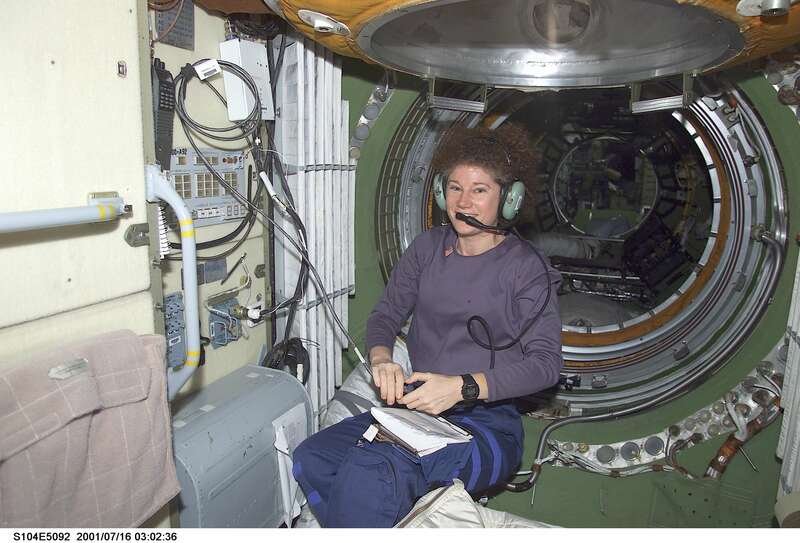 The first Amateur Radio equipment was delivered to the International Space Station (ISS) in September 2000 and an Amateur Radio station was established onboard for use by Astronauts who are licenced Radio Amateurs. Commander William Shepherd, KD5GS, made the first Amateur contacts in November of that year. Most of the astronauts on the International Space Station are licenced Radio Amateurs and sometimes during their spare time they talk to other Radio Amateurs back on earth. 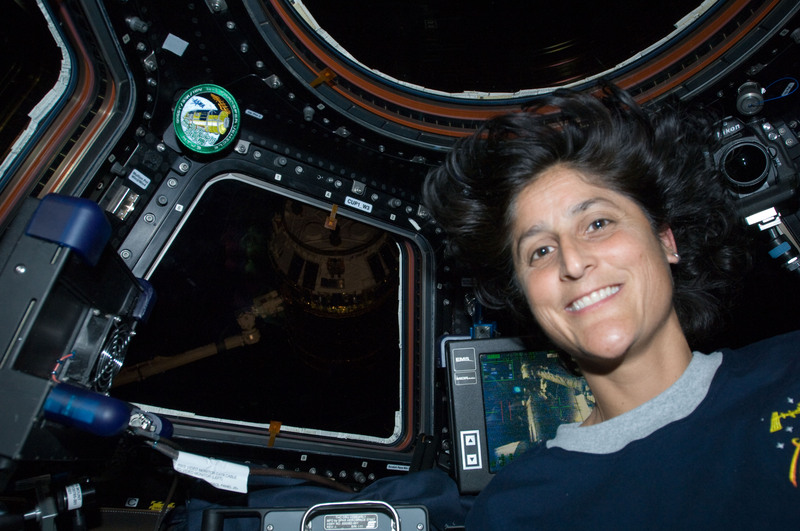 There is a special thrill in talking to an astronaut out in space! What equipment do you need to hear the ISS ? Almost any 144 MHz FM rig will receive the ISS, you can even use a general coverage VHF scanner with an external antenna. As far as the antenna is concerned the simpler the better. A ¼ wave ground plane has a high angle of radiation and works well. Large 144 MHz colinears are not as good because the radiation pattern is concentrated at the horizon while the ISS is above 15 degrees elevation for most of a pass. You can receive the ISS outdoors using a 144 MHz hand-held with its helical antenna but a 1/4 wave whip will give far better results. In the UK we use narrow 2.5 kHz deviation FM but the ISS transmits using the wider 5 kHz deviation used in much of the world. Most rigs can be switched been wide and narrow deviation filters so select the wider deviation. Hand-held rigs all seem to have a single wide filter fitted as standard. What will you hear ? The aim to start with is simply to listen to the sounds from the satellite. You can check the current mode of operation on the AMSAT Satellite Status page. The ISS amateur radio station is used for school contacts. 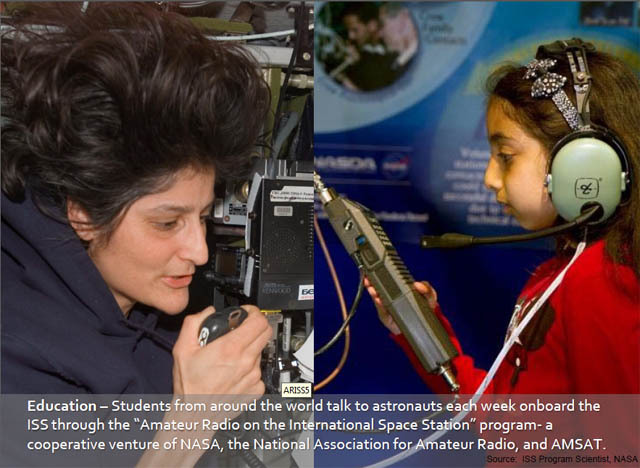 These educational contacts enable students to communicate directly via Amateur Radio with the Astronauts and ask them questions. In recent years a number of UK schools have made contact with the space station thanks to volunteers from AMSAT-UK. When the astronauts put out a CQ call they also use 145.800 MHz FM but operate “split” listening for replies 600 kHz lower on 145.200 MHz. If you are lucky and hear them calling CQ just remember to activate your rigs repeater shift to ensure you reply on the correct frequency. You should never transmit on 145.800 MHz. The ISS is in a very low orbit and so is only in range 5 or 6 times each day and then only for a maximum of 10 minutes on the best orbit. This means you need to make sure you’re listening at the right time to hear it. There are a number of websites that tell you when to listen. I use the orbital predictions on the ISS Fan Club site. 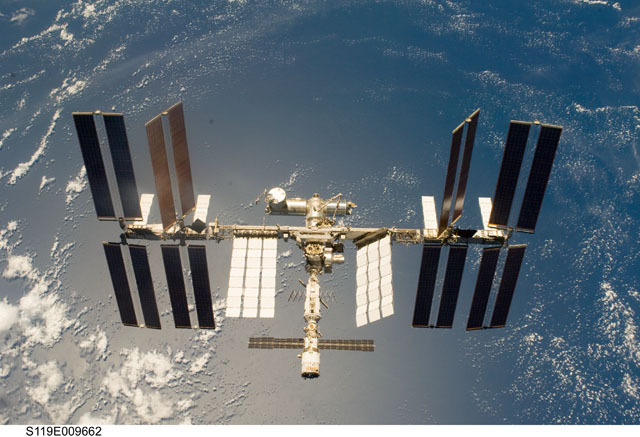 The International Space Station is traveling around the Earth at over 28,000 km/h. This high speed makes radio signals appear to shift in frequency, a phenomenon called Doppler Shift. This Doppler shift will cause the ISS transmit frequency of 145.800 MHz to look as if it is 3.5 kHz higher in frequency, 145.8035, when ISS is approaching your location. During the 10 minute pass the frequency will move lower shifting a total of 7 kHz down to 145.7965 as the ISS goes out of range. 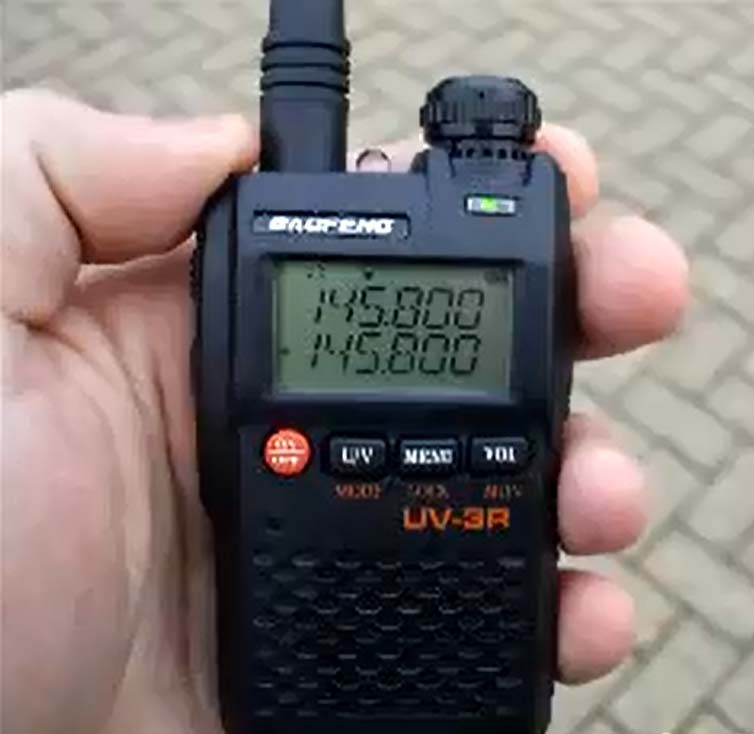 To get maximum signal you ideally need a radio that tunes in 1 kHz or smaller steps to follow the shift but in practice acceptable results are obtained with the radio left on 145.800 MHz. The Amateur Satellite organisation in this country is AMSAT-UK. Its members are involved in the construction of new Amateur Radio satellites and in running the stations used for ISS school contacts and. The group produce a quarterly publication OSCAR News that is full of information on the Amateur satellites. You can join online via the AMSAT-UK website.